How do I publish my book? How do I get published? The options can be confusing and they sometimes seem to overlap. Here is a rundown of all your options, to help you decide what you really want to do, or to at least prioritize your options. Traditional publishing, self publishing, hybrid publishing and more – let’s talk about the options and what makes them different from each other. If you have the passion to create a quality story, you can get it on the market in SOME way. But there are certain things you need to know about what’s out there in the publishing biz – in fact, there are many things. If you want to publish your own work, you need to have a basic understanding of the traditional publishing business. Why? You can’t do what they do if you don’t know what they do. If you’re considering skipping over traditional publishing and putting your work on the market yourself, there are pros and cons, and a lot of information you should know before you embark on such a major undertaking. The thing to keep in mind here is that self-publishing isn’t the easier route. It can be the faster route, because publishing houses usually take a lot of time with every step of the process, especially if you are a new commodity. A traditional publishing house decides the design of your book block (the interior book, the actual pages and how the chapters are delineated), your book cover and book spine, your copy material, the printer(s), distributors and wholesalers, where it’s retailed, how many free copies are circulated to libraries, schools and critics – and the budget to get all that done. They edit your work, too. When you self-publish, you either do everything a traditional publisher would normally handle on your behalf – or you hire the work out to other professionals. To make the process easier, there are a lot of companies that provide self-publishing programs or packages. Be aware but also beware of these and make sure you read the fine print. A fellow writer I knew several years ago really got taken for a ride. He paid over $50,000 and still didn’t have a book ready for the market. The whole experience was overwhelming for him, and he put away his pen forever. I don’t want to scare you. Just know that there are wolves out there, and you need to be diligent. Just because a contract is unjust doesn’t mean it isn’t legal. Be informed on the Types of Copyrights: what you need to know. Find out how to protect yourself and What to DO if your Book Gets Stolen. There are different types of publishing companies, so I want to hit upon those and explain how they are different. I’m not going to tell you what to use and what not to use. That’s up to you and your banker. But I will tell you the blank facts. This is what most people think of when they think of a publishing company. What you might not know is that these are enormous and international companies with thousands of employees working under various subsidiaries and imprints. To be considered by one of these publishers for publication (or any of their imprints), you MUST have an agent. Your work will be dismissed if you submit your own work. Go here to find out how to Find the RIGHT Agent for You. Very important, as you only get one. Here’s my list of Great Agents Looking for Children’s Authors NOW. These are publishing companies that are not owned by a larger, international umbrella company. They might have anywhere between 4 employees and several hundred employees, but regardless, the different departments generally work quite closely with each other. Indie Publishing Houses are sometimes bulked together with Indie Presses and University Publishers, but they’re not really the same. Indie Houses publish more fiction and tend to be more oriented on commercial success. This is where you’ll see more genre novels. Many Indie Publishers accept submissions from authors directly. Here’s a list of Publishers Accepting Kid’s Book Submissions Now. Here’s an additional list of John Kremer‘s Top 101 Independent Book Publishers. Go here for a comprehensive list of Indie Publishers, Presses and University Presses. This is a smaller publisher who most likely (but not always) prints the materials they bring to the market. Most often, Indie Presses or Publishers work on a more local or regional basis. They’re focused on local authors and regional, culture-specific interests. What seems to be trending now (2016) is that more Indie Presses are launching corner bookshops, ones designed to bring readers and writers closer together. This is all about community building. Read more in this article from Literary Hub, Why Indie Presses Are Opening Bookstores by Jon Sealy. In many cases, Indie Presses will only consider your manuscript if you are local to their region. However, you do not typically need an agent to approach them with a manuscript or book proposal. University Publishers are specifically connected with a university. Most but not all of their publications are educational nonfiction. Here’s an international list of University Presses with AAUP memberships (Association of American University Presses). You do not need an agent to submit your work to a University Press, but it helps if you know one of their professors. Also called a Contract Publisher or Subsidy Publisher, this is a company that without any criteria will publish your work, and you foot the bill. You as the author usually decide how the book looks and how many copies are brought to the market, but you will generally pay $5,000-$10,000 (or more) to make it happen. Print On Demand (POD) Publishers are companies like Create Space and Lulu (what I recommend for full color illustrated storybooks). You upload your work, design your cover or choose from a template, and pay perhaps $30 for an ISBN. The company makes sure your work is available on various online venues, and the rest is up to you. Anyone can do this. POD Publishers have created user-friendly programs to make uploading your work to them nearly effortless, and if you need to make changes along the way, you can do that at no additional cost (so long as you didn’t already green-light the book for publication with an ISBN). POD Publishers are quite different from Vanity Publishing, though some people tend to lump these together. Both are ways to self publish, but the cost, method and outcome are significantly different. 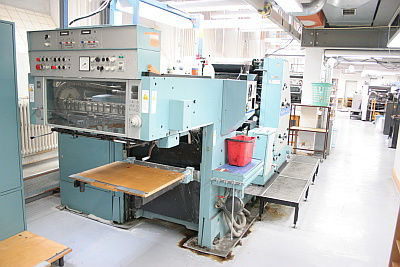 Vanity Presses create traditional print runs, so an aspect of their business model is making sure the author pays for those copies (usually 5,000 minimum). They don’t really need to worry about whether the book sells or not. POD Services only get paid per copy, so it’s to their benefit if the author is successful. I only just discovered this at the 2016 Frankfurt Book Fair. Read all about my interview with Red Door Publishing, and how they offer hybrid publishing as a new kind of business model. In essence, Hybrid Publishers critique your manuscript and make the decision to publish or not – but the author pays for the first print run or at least a portion of that cost. A good Hybrid Publisher has connections to distributors and marketing outlets and if there are subsequent printings, then the Hybrid Publisher pays for those. Read Jane Friedman‘s article on Not All Hybrid Publishers Are Created Equal at Publisher’s Weekly. Good stuff. Print On Demand (POD) Printers are quite different from POD Publishers. A printer does just that – they print your book. They might offer an online platform for selling and might make sure it’s available through other online shops as well, but they do not offer any assistance in designing your book block or book cover. The POD Printer will treat you like a professional publisher, which means there is no room for error when you send them your files. So if you make a mistake, you will need to fix it and then resubmit for an additional fee. If you can work with a POD Printer: respect. You are a serious publisher if you can do that. Lightning Source is a highly respected POD Printer. They are owned by Bowkers and they do quality work. A printing company is just that: they print your stuff. They do not distribute or market or design. Any files you submit to them must be perfectly professional, or it will cost you a lot of money to fix. 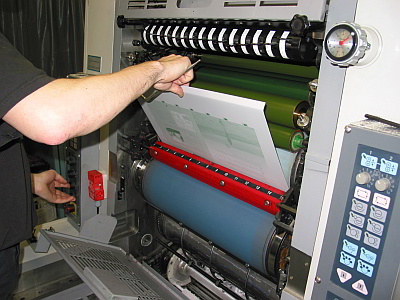 A typical minimum print run is 5,000 copies (though today some are able to print as few as 1,000). The more copies you have made per run, the cheaper each copy will be. That translates into a larger profit margin. Working with a printing company is the most cost-effective way to go, but you should really only tackle this if you fully understand the printing process (because they won’t explain any of it to you – they simply charge you for every mess-up you make – and no, they won’t fix it for you). If you have experience as an editor, or you have a degree in graphic design, then working directly with a printing company is an excellent option for you. Distributors don’t publish, but I felt it necessary to mention them here in this list. These are the guys who get your books into real brick-and-mortar shops. If you can make a business deal with a distributor, you will do well. Read this article for specifics. iPg, Independent Publishers Group, the second largest indie distributor in the US. Here is a solid list of Distibutors and Wholesalers made available from the IBPA (Indie Book Publishers Association). These are the guys who manage and sell ISBNs (the International Standard Book Number). Absolutely every edition of a given book title requires its own ISBN. Here’s where to get them. When you want to publish your own work using a printing company, you will need to buy these in batches. If you plan to self publish a book as a paperback, hardback, ebook and audiobook, you will need four ISBNs just for that one title. The bottom line to publishing is that there is no easy path. If you’re in, you’re in all the way. While it’s quite possible to simply get a book out there on the market (let’s face it, you can publish your grocery list if you want to), there’s a lot more to know if you want to actually sell. Whether you are self published or traditionally published, the successful selling of your books is entirely up to you. The trick is knowing how to take control of that. What do you think? Share your personal experiences. Have you worked with a Vanity Publisher? Traditional Publisher? Who do you think is the best POD Publishing Firm? Comment below, let me know. If you have any questions, leave a comment or send me an email. I’ll be the one who reads it. This is a very informative article. I’ve published two books in two different genres and I went the self publish route. I enjoy the freedom of self publishing. I use CreateSpace. I enjoy the process of self publishing. I chose my own book cover artist etc. I have control of my project from start to finish. I wouldn’t have it any other way. Self publishing isn’t the easiest route by any means, but for me it is my passion. Thank you for writing this information. I know it will help a lot of people. Now to go back and check your other four articles in this series. Even if the illustration is in the public domain, you should still provide attribution, particularly in an article about publishing. It’s the proper thing to do. Hi Lynn, if you happen to know who the illustrator is, I’d be happy to credit the artist. I found this on Pixabay, and no credit was given. Lynn, thanks again for your feedback. I want you to know that while it took me a while, I did find out who the artist is. It’s Arthur Rackham.